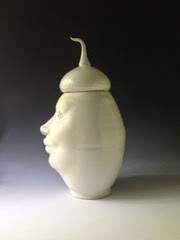 For the 2014 Madison Park Art Walk I debuted a new series I call "Whim Vessels", on view at Home Street Bank. 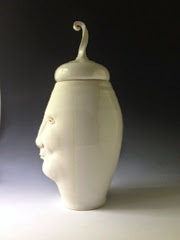 Their features emerge from the very walls of the vessel form. I sought spontaneous gestures that felt transitional to create a sense of shifting expressions. 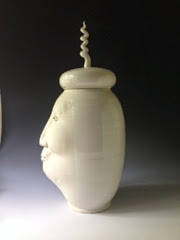 I chose a monochromatic porcelain palette to focus on the form rather than the surface colors. Home Street Bank invited to host the pieces after the Art Walk, and the remaining pieces moved to their windows. It's a lovely space and the staff at the bank has been most welcoming! The bank recently had its own opening of this particular branch and threw, yet again, a great party, and kicked it off by donating $5,000 to the YWCA Central Area Food Drive! A few examples of the Whim Vessel series. 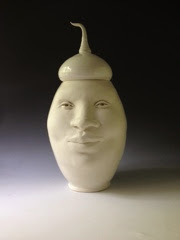 Registration begins Monday, August 18th for Sept-Nov Pottery Classes in Seattle. Join the fun at Barbara Dunshee's small private studio in the Arboretum/Capitol Hill area! 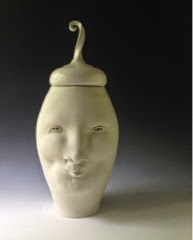 Registration is now open for my Spring 2014 Pottery Classes in Seattle. 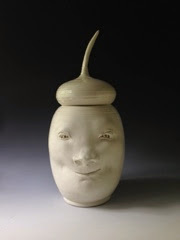 There is currently a wait list for my evening pottery classes but I still have spots in Monday DAY and Tuesday DAY 11am-2pm, starting the week of April 7th. 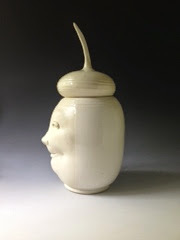 We'll be coordinating a barrel pottery firing of some of our work near the end of the Spring session! Hope you can join us. 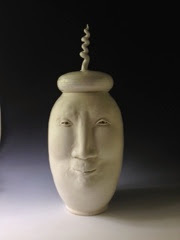 Open Registration for my Spring 2014 (April-June 2014) Seattle Pottery Classes begins Monday, March 3rd, 2014. 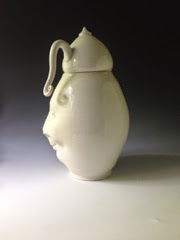 Visit my website: Barbara Dunshee Ceramics for more information and registration details. Wheel throwing and hand building, small classes, combined experience levels. 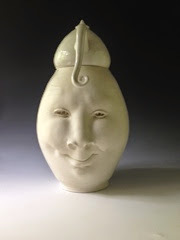 Currently registering students for 2013 Fall Pottery Classes in Seattle with Barbara Dunshee! 10 week, small group classes starting the week of September 23rd.